Someone on one of my Yahoo groups asked what had happened to the third part in the Earth Invasion Trilogy -The Green Skies? To recap: the Invasion Earth Trilogy Part 1: Return of the Gods:Twilight of the Super Heroes was published in 2011. The original book was 197 pp and comprised of Parts 1-6 from Black Tower Adventure #1-6. I added more pages to make it well over 300+ pp and it was entirely re-lettered. Copies of ROTG (as it was abbreviated) went off to Japan, Finland, Germany and the US and the reviews were very positive. It made all of the work worthwhile. I sold a total of 1 (one) copy. 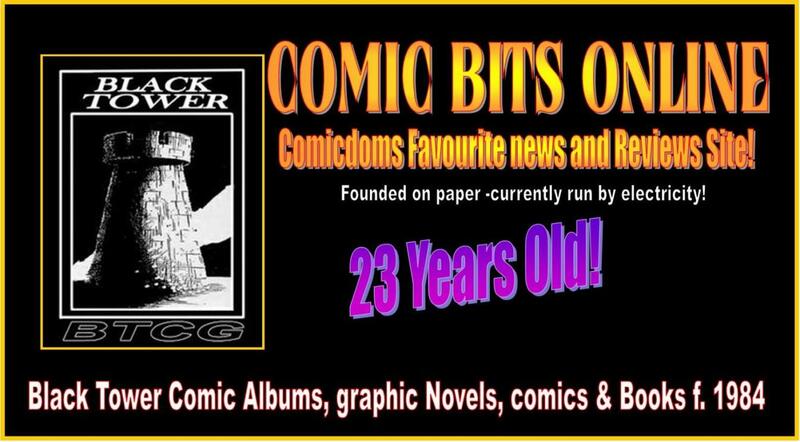 The follow up Invasion Earth Trilogy part 2: The Cross Earths Caper was again published in Black Tower Adventure but then put into a 107pp trade. Again, good reviews (I am definitely NOT my own biggest fan so good reviews always surprise me). The third and final part Invasion Earth Trilogy Part 3: The Green Skies is or was set to be even bulkier than ROTG. It was scheduled to appear in June, 2014. It never did. For me completing the trilogy is important because it pulls together things I started in 1984 and whether the Black Tower Universe survives even I do not know at the moment. I never do scripts -I just sit down with paper, pencil and pen and draw as it comes to me. In the past this has resulted in the deaths of some of my favourite creations. I could have gone back and drawn it differently but it was the story. Unlike other companies, if a character dies in the BTC Universe he/she DOES NOT return. Death is final (unless we are talking about the paranormal characters such as vampires and ghosts!). The pages for The Green Skies at the moment number well over 400. Yes, there are deaths -the attack on Mars, the Moon and much more that I am obviously not going to reveal! Deaths of comic characters should not really affect you, should they? Mind you, these are old friends. There is no major rush for a couple reasons. Firstly my hands. Have you ever had your hands accidentally or deliberately stamped on? That's what my hand feels like after drawing -except the 'stamping' goes on for hours! There is no major call out for Part 3 to be published. Selling one copy of one part of a Trilogy in 8 years does not indicate much interest. Why rush and endure the pain -take my time. So many people ask for things like "more UK Golden Age reprints" but do you know what? Out of the single volumes only one sold since 2011. The major 400+ Ultimate Collection...3 copies. I'm guessing that there is the hope that someone will scan all my work and offer it up for free but first someone would need to buy and scan the pages because I DO NOT offer downloads. Also, as that scanner will have purchased the book from the online store not only will all the order and buyer details be there but something unique is added to each printed copy. Which means the potential scanner is identified and the policy is to take legal action. Considering the amount of money I lost from illegal downloads of my Fantagraphic Books I'm not letting that happen again. So Green Skies is not cancelled. I'm just taking it slow. Bristol Comic and Zine Fair 2018 -ME?? It Has A Use After All! It's The 20th! You Know What That Means! Kazoop! 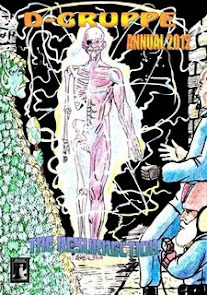 News -Are You A Ken Reid Fan? 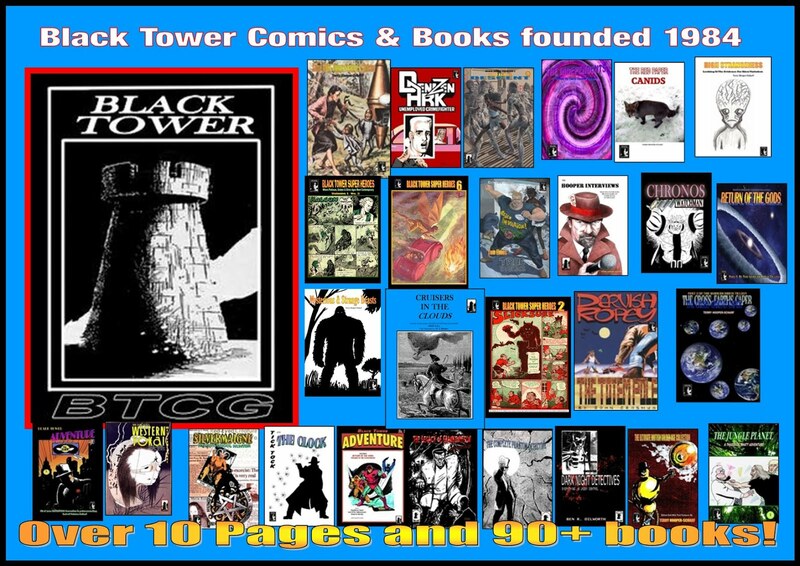 Black Tower Comics & Books. 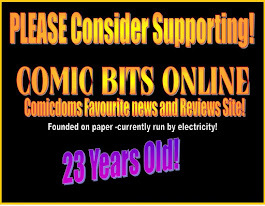 Comic Book Reviews - Comics Assemble !! Roll Up! Roll Up! He's "off on One" Again!! It's Free Comic Book Day -Grab! Grab! Grab! Would YOU Like To Be Connected?